Anyone that attended WSWF last year might recall that we had 2 special judges with us, Alan Hill and Kate Sharp, and they graciously agreed to judge our little mid-west show. Turns out, that little show ended up having over 100 entries, which made us one of the largest Shetland sheep shows in the US. You might also recall that we did a lot of video taping of the 2 seminars they gave while they were with us, the Ram/Ewe Inspection Seminar and the Judging clinic. The editing process for that video is nearing completion and we will be able to order dvd's very soon. A lot of you have already sent me requests for the dvd and rest assured, I still have your requests. If anyone else would care for a copy, please let me know and I'll add you to my list. No only are Kate and Alan extremely experienced Shetland sheep judges, but they are breeders of Shetland sheep, which is rare to find in NA, so it was a treat to find individuals that have so much knowledge of Shetland sheep. 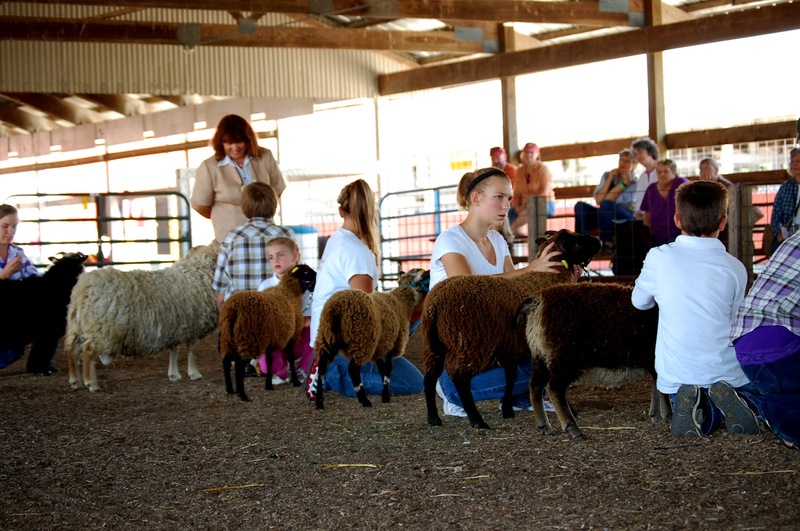 They've both done hundreds of Ram Inspections, as well as regularly judge Shetland sheep shows at home. I can't think of a better way to have the breed evaluated than by experienced breeders, inspectors and judges. Most of our judges in NA are livestock judges, and aren't fortunate enough to have as many Shetland sheep to evaluate, so it's tough to get that much experience under their belts. What I'd love to see is "breeder judges" for Shetland sheep, that would be a much better scenario for our little sheep. I'm not saying that livestock judges are bad, only that they would have a hard time compiling the knowledge of our breed standard without having a chance to be exposed to more Shetlands. More exposure, means more experience and more experience can't be a bad thing.